We reported the release of the Kessil Lighting A150W LED Aquarium light back in mid March. We wanted to show you a video of the new 14K Kessil A150W in action. 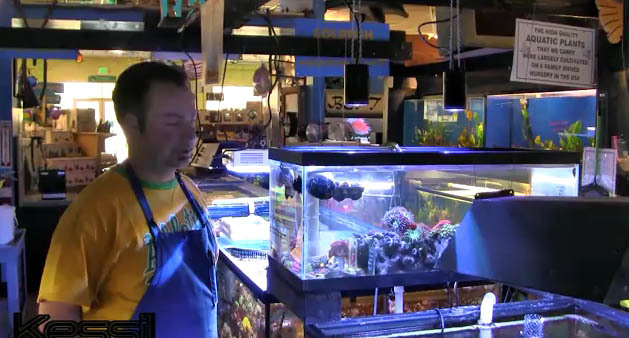 This video, shot at the Dolphin Pet Village in Campbell, CA., showcases the new 14K A150W over a reef tank. They love the compact design of the A150W, and the 14K color looks great. Great polyp extension, and growth has been reported, along with improved coloring. The glimmer/shimmer of the LEDs are very much evident in this video, mimicking natural sunlight. Remember that the Kessil Lighting A150W uses Dense Matrix LED™, which packs 21 chips into an area that is as small as a dime. This LED light features a simple reflector which maximizes light intensity and focus. Please click here for a closer look at the A150W from Kessil.